of the story line and washes it down. earth rattle, a trickle of saliva. for the princes they are. Sue Kindon stopped writing poetry after a surfeit of literature at Hull University. She rediscovered her creativity many years later when she joined a newly formed poetry group in the Cumbrian village where she was then living. She thought it was to read poetry; what she didn’t know was that group members were also expected to write it. Since then she has never looked back and she now lives and writes in the French Pyrenees. 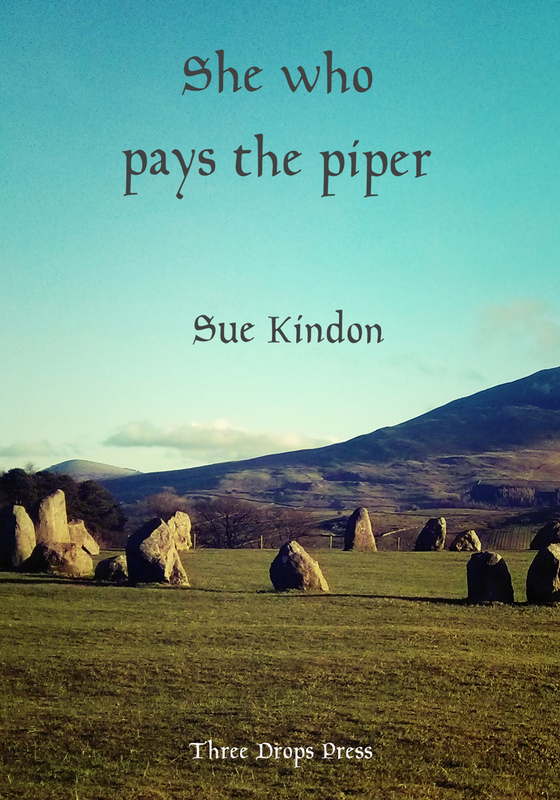 She who pays the piper is currently available from Lulu. Available soon from Amazon, and direct from the press.